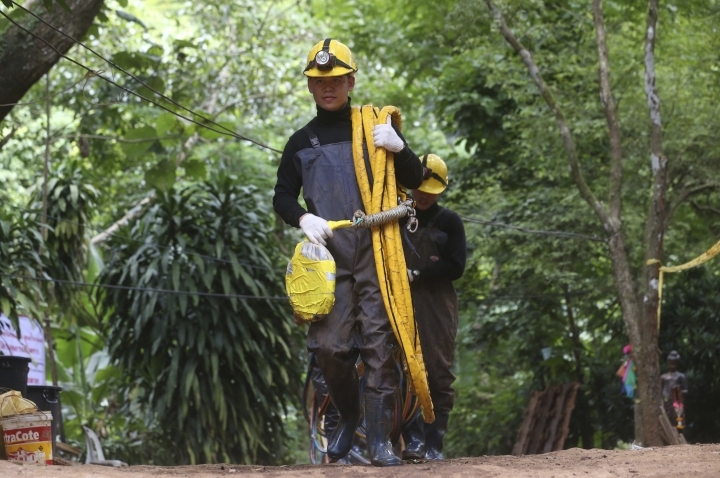 MAE SAI, Thailand — With more rain coming, Thai rescuers are racing to pump out water from a flooded cave before they can extract 12 boys and their soccer coach with minimum risk, officials said Thursday. A firefighter who has been working on draining the water said parts of a passage leading to the chamber where the group was found Monday was still flooded to its ceiling, making diving the only way out. 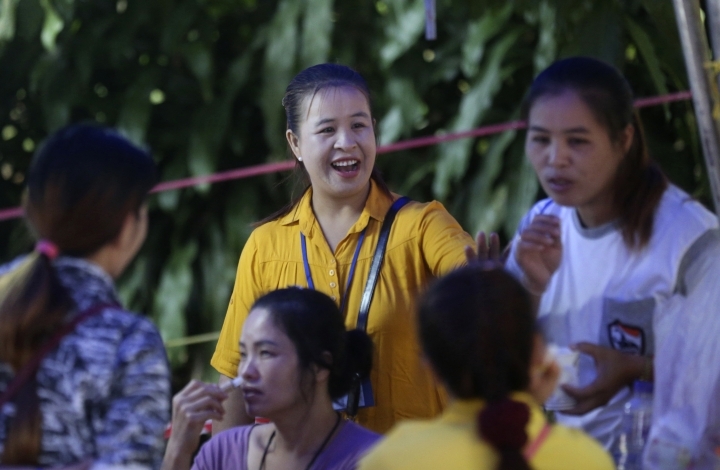 "What we worry most is the weather," Chiang Rai provincial Gov. Narongsak Osatanakorn told reporters. "We can't risk having the flood back into the cave." 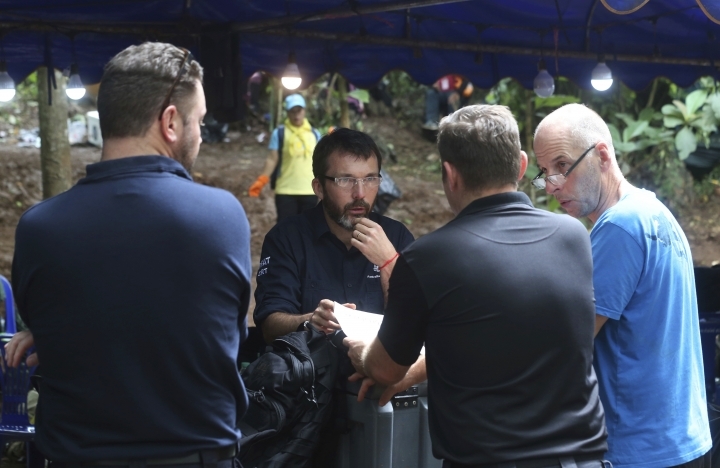 The boys, aged 11-16, and their 25-year-old coach went exploring in the Tham Luang Nang Non cave in the northern province after a soccer game June 23. 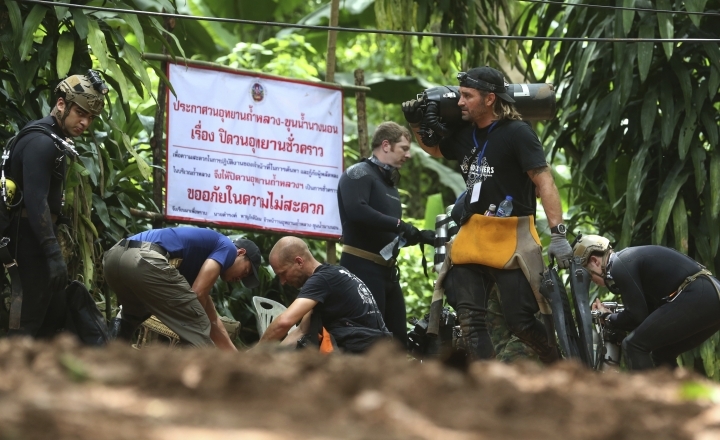 Monsoon flooding cut off their escape and prevented rescuers from finding them for 10 days. The boys, although skinny, have been described as in good health. 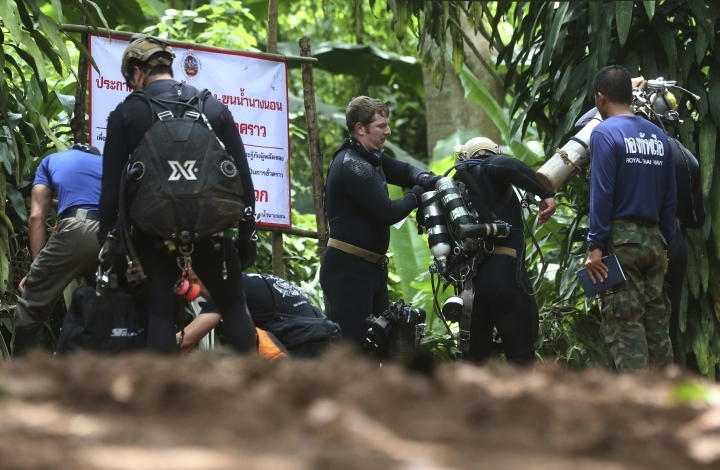 Authorities have said the soccer players are being looked after by Thai navy SEALs, including medics, staying with them inside the cave. 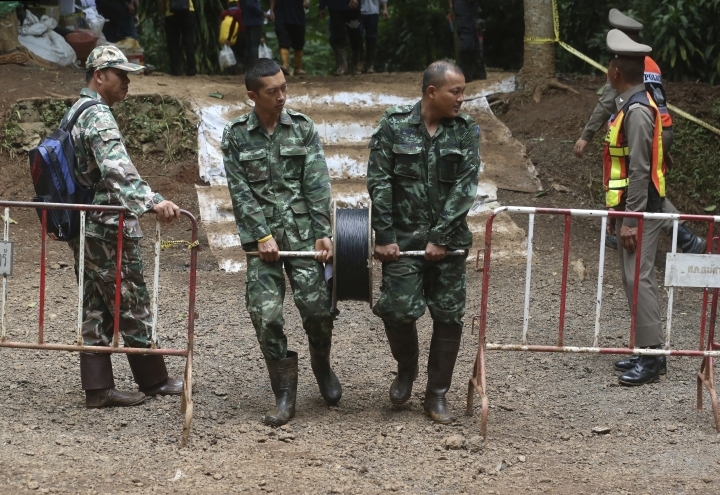 Narongsak said he asked the SEALs in charge of extraction plans to estimate what sort of a risk would be involved to take them out and "what kind of readiness we can have today and decide if we can take that chance." He said the 13 may not be extracted at the same time, depending on their condition. They've practiced wearing diving masks and breathing, in preparation for the possibility they may have to dive. 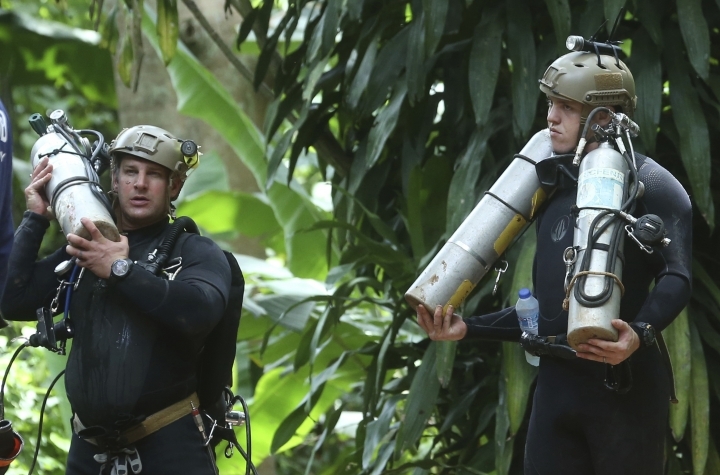 "This morning, I have asked for 13 sets of (diving) equipment to be prepared and checked the equipment lists and place them inside (the cave) in case we have to bring them out in this condition with less than 100 percent readiness," he said. 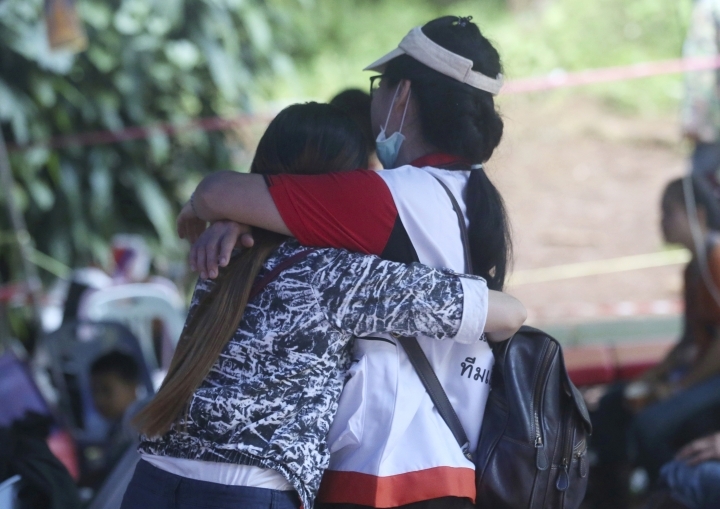 Officials prefer to get the boys out as soon as possible because heavy rain expected by Saturday almost surely will raise water levels again in the cave, making passage in some areas even more difficult, if not impossible. They are hoping that an upgraded draining effort can lower the water in an area where it is still at or near the ceiling. The idea is to get some headroom so the boys would not be reliant on scuba apparatus for a long stretch and could keep their heads above water. 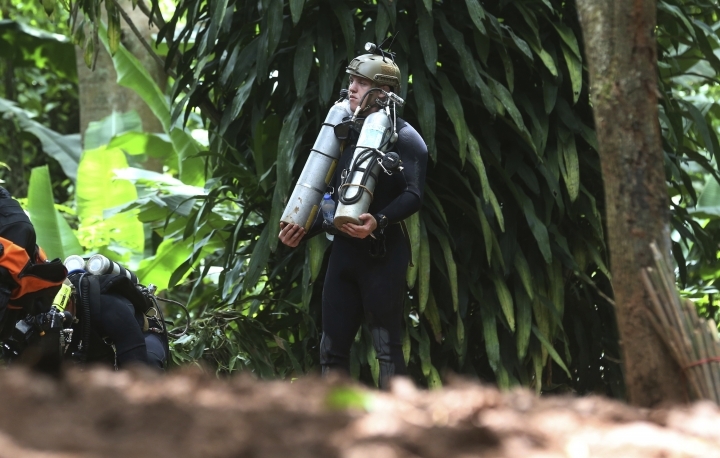 The navy has released videos of the boys, showing them smiling and interacting with the personnel sent into the cave to bring supplies, treat their injuries and keep them company. 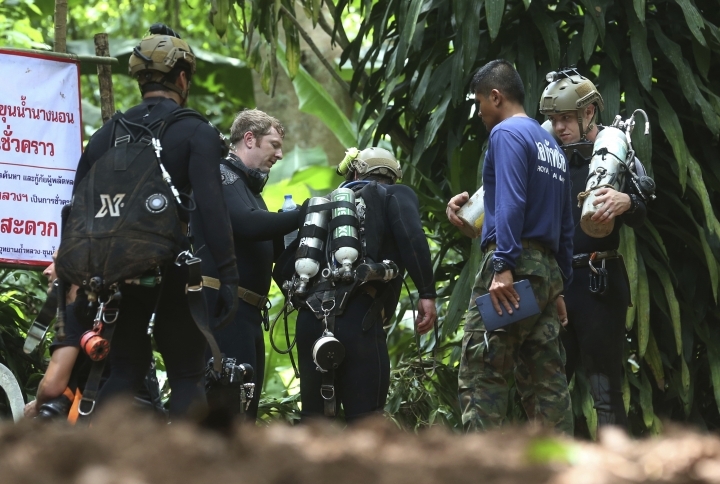 One Thai navy SEAL team member who spent time with the boys said the young soccer players "were always asking about the World Cup." ''I told them that all the big teams had gone home," the navy SEAL member said. 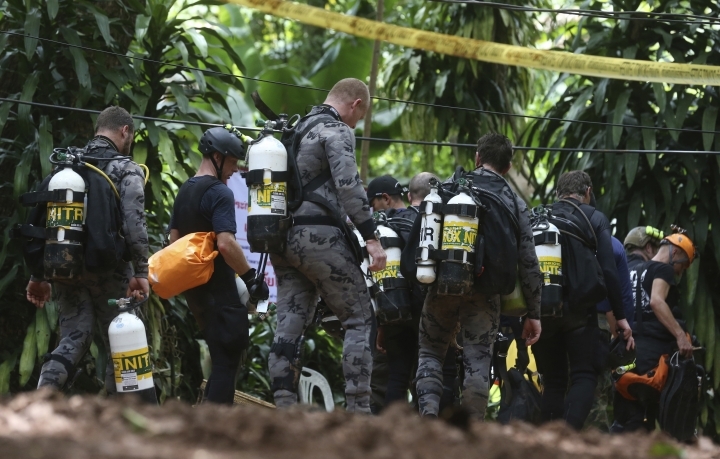 Cave rescue experts have said it could be safest to simply supply the boys where they are, and wait for the flooding to subside. That could take months, however, given that Thailand's rainy season typically lasts through October.